With opening day scheduled for God knows what time in Australia on Saturday, it’s time to look at what the Major League landscape looked like 100 years ago. For the first time since 1890, there were three big leagues: the National League, the American League, and the Federal League. The Feds started their season first (13 April Buffalo at Baltimore), so it seems like a good idea to begin with the upstarts. The Feds put eight teams in the field in 1914. Many of the players were over-the-hill types like Three-Finger Brown who were hanging on for one last fling. Others like Benny Kauff were new guys trying to make it in the big leagues. Most teams had something of a mixture of both kinds. There were teams in Chicago, Brooklyn, Pittsburgh, and St. Louis, all well established Major League cities. But the Federal League also ran teams in Indianapolis, Baltimore, Buffalo, and Kansas City, towns that didn’t normally see Major League quality play. With no previously established rosters, it’s hard to say that any team was favored on opening day 1914. Indianapolis would eventually take the pennant by a game and a half over Chicago with Baltimore and Buffalo rounding out the first division. The Hoosiers won 88 games and featured six of their starting eight position players hitting over .300. The big name was Kauff who led the FL in runs, hits, doubles, stolen bases, batting, OPB OPS and total bases. He also played a decent center field. Bill McKechnie, future Hall of Fame manager, played third and hit .304. He was in the middle of what had been, so far, a mediocre career. Thirty-four year old Cy Falkenberg was the ace, going 25-16 and leading the league in shutouts and strikeouts. But the biggest name to come out of the team was a 21-year-old fourth outfielder with only nine games Major League experience. His name was Edd Roush and he would go on to win National League batting titles, a World Series with the 1919 Cincinnati Reds, and earn a spot in the Hall of Fame in 1962.Despite finishing first Indianapolis had no postseason play as neither the National nor American League acknowledged their existence as a Major League. 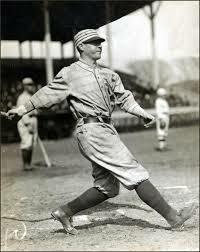 Hall of Fame shortstop Joe Tinker, at the end of his career, managed Chicago to second, while Baltimore featured long time pitcher Jack Quinn who, at 30 was still only mid-career. A few other notables did well for the Feds. John Montgomery Ward, long retired from playing and running the Brotherhood union was involved with the Brooklyn team as their business manager. As mentioned, Three-finger Brown split time between Brooklyn and St. Louis going a combined 14-11 and serving for a time as manager in St. Louis. The Terriers (St. Louis) finished dead last but did feature both Fielder Jones, winning manager from the 1906 World Series, as their second manager and 22-year-old Jack Tobin hit .270. He would go on to be one of the stalwarts in the Browns outfield of the 1920s. In many ways 1914 was a success for the Feds simply because the survived. There was a major overhaul for 1915, champion Indianapolis being dropped for one. That didn’t bode well for the continued existence of the league. Never able to garner first-rate players and having major problems drawing in most of their cities, they hung on for only one more opening day. There have not been three Major Leagues since. Ever have one of those days? You know the one I mean, the one where nothing goes right no matter how hard you try. One of those? Yeah, of course you have. Well, baseball has a team with an entire century of those kind of days, the Chicago Cubs. It wasn’t always that way. Chicago won the first ever National League pennant all the way back in 1876. On the centennial of the Declaration of Independence, it was seen as an omen to a number of Chicago city boosters. For a while it was. They won again in the 1880s, picking up a postseason championship along the way. There were down times in the 1890s, but they bounced back in the early 20th Century with a pretty good team. The 1906 version still has the highest winning percentage in Major League Baseball. But it was the 1908 team that represented the peak of Cubs baseball. The 1908 Cubs won the National League pennant, one of the most famous of all pennant races, by a single game over Honus Wagner’s Pirates (I wonder if Wagner walked around going “aargh” or not. Probably not.) and John McGraw’s Giants. Although defending world Series champs, the Cubs faced a formidable opponent in the American League’s Detroit Tigers and Ty Cobb. The Tigers featured Cobb and fellow Hall of Fame inductee Sam Crawford in the outfield with Bill Donovan, Ed Killian, and Ed Summers on the mound. They’d won the American League pennant by a half game and had won it with hitting. Their pitchers records reflected their hitters abilities as much as they did the individual pitcher’s skills. The Cubs, on the other hand, could both pitch and hit. Three Finger Brown, Jack Pfiester, and Orval Overall were superior hitters and the infield of Frank Chance (who doubled as manager), Johnny Evers, Joe Tinker, and Harry Steinfeldt was one of the best in baseball. The outfield was good with Jimmy Sheckard, Wildfire Schulte, and Solly Hofman patrolling the grass. Johnny Kling was considered one of the finest catchers in the NL. Games one through three were high scoring, particularly for Deadball Era games. The Cubs and Brown won the first game 10-6 by plating five runs in the top of the ninth. Kling, hitting eighth, drove in the winning run with a clean single. Game two ended with a Cubs 6-1 victory. With both teams shutout going into the bottom of the eighth (game one was in Detroit, but games two and three were in Chicago) when the Cubs bunched together all six runs, highlighted by Tinker’s two-run homer. Detroit won game three in an 8-3 shootout. Again Chicago scored all its runs in one inning (the fourth), but this time Detroit also had a big inning. Down 3-1 in the top of the sixth, the Tigers strung together four singles, a bunt, and a double to plate five runs and put the game away. Games four and five were back in Detroit where Chicago pitching took over. Brown and Overall both threw shutouts, Detroit got seven total hits, and the Cubs scored three runs in game four and two in the fifth game to capture the World Series. The Cubs hit .293 (Chance hit .421), had an OBP of .343 (Chance also led in walks with three), slugged .360 including the Series’ only home run (Tinker’s in game 2). That game them an OPS of .702 (Chance’s was .921 and Schulte’s .950. Detroit hit all of .209 with Cobb leading the team at .368. Their OBP was .272, with a slugging percentage of .241 (OPS of .512). Cubs pitchers Brown and Overall each won two games (Pfiester took the loss). The team ERA was .260 and Chicago gave up only 33 hits and 13 earned runs. Detroit’s pitchers wern’t nearly as good. Donovan and Summers each took two losses (Mullen got the win). The team ERA was 3.68 and they gave up 48 hits and 18 earned runs. The Cubs won another pennant in 1910, but lost the World Series to Philadelphia, then the team began to slide. It won the NL pennant again in 1918, but lost to Boston and Babe Ruth. Futility has reigned since. As it turned out, 1908 was the last World Series Chicago won. Bad century, indeed. This marks the beginning of the final three posts about the 1910 season (Is that cheering I hear?). The other two will sum up the Athletics season and explain why I think 1910 matters. I’m not going to do a blow-by-blow of the World Series. You can go to Retrosheet and see for yourself how and why Philadelphia won. Or you can wait a few weeks and Kevin at DMB will run the 1910 World Series for you and you get pick up a taste of it then (and maybe root for an upset). 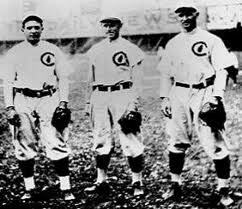 The year 1910 saw the end of the Chicago dynasty that had dominated the National League since 1906. They participated in four of the five World Series’ (missing 1909) during the period, winning two (1907 and 1908). But the run ended with the loss in the 1910 Series. If you look at the team at the end of 1910, you might figure that Chicago will compete for a long time. It turns out that the next time the Cubs made the Series was 1918. So what went wrong? To start with, three-fourths of the infield and the starting catcher went by the way in 1911. Frank Chance was effectively done as a player. For the entire rest of his career, he managed to play exactly 46 games. Johnny Evers played only 46 games in 1911 (talk about statistical coincidences). He did come back in 1912 and 1913, but was sent to Boston in 1914. Boston promptly won the World Series and Evers won the Chalmers Award, an early version of the MVP award. In 1911, third baseman Harry Steinfeldt went to Boston, got into 19 games and was through. By 1914 he was dead. Finally, catcher Johnny Kling started slowly, was traded, and finished his career in 1913. In short, half the everyday players of 1910 were unavailable for 1911, three of them permanently. That’s half the starting lineup that has to be replaced. Doing it with quality players is unusual, and Chicago didn’t have those quality players. The following people replaced the 1910 starters: Vic Saier, Heinie Zimmerman, Jim Doyle, and Jim Archer. Ever hear of any of them? If you’re lucky you may know Zimmerman who won a home run and batting title in 1912 an RBI title in both 1916 and 1917, and was banned for throwing games in 1920. The drop off is both stunning and quick. The pitching was aging. 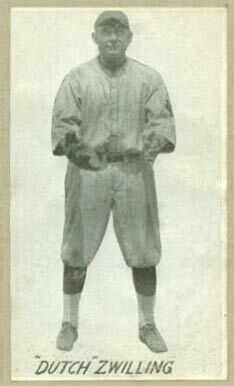 Three Finger Brown was 34 in 1911. It was his last good year in the NL (he did OK in the Federal League). Harry McIntire was 33. Orval Overall retired with a bad arm. That left King Cole (who ended up dying in 1916) and third starter (or fourth, depending on your viewpoint) Ed Reulbach. It’s kind of difficult to rely on your third starter. Having said all that, Chicago still finished second in 1911. But in 1912 they fell to third, stayed there in 1913, then dropped to fourth and finally fifth by 1917. I doubt anyone saw this coming at the end of the 1910 World Series. So Chicago maintained high hopes at the end of 1910. Those hopes were a mirage. Most of us are familiar with the futility that is the Chicago Cubs. They haven’t made a World Series since 1945, didn’t make any kind of playoff between 1945 and 1984, can’t win the big one. But once upon a time (yeah, I know it’s a fairy tale opening, but some of you will think this is a fairy tale) the Cubs were good and even won the World Series. Between 1906 and 1910 the Cubs were the best team in the National League. They went to the World Series 4 times, winning- yes, I said winning-twice (The Series they missed was 1909). In 1906 they lost to their crosstown rivals the White Sox and lost in 1910 to the bulding Philadelphia Athletics dynasty. In between they won. The 1907 team won the pennant by 17 games over Pittsburgh. It faced off against a Ty Cobb led Detroit Tigers team that won 92 games. Game one of the Series was a 12 inning tie called because of darkness. At the time, players win/loss shares were determined by gate receipts for all games played. There was talk that the teams had deliberately tied in order to raise the Series cut each player got. The rule was changed later to give the players a cut of only the first 4 games played, thus making this a significant Series despite the outcome. After game one, the Cubs blew by the Tigers in 4 straight posting a 257 batting average (to 209 for the Tigers) and on 0.75 ERA (to 2.15 for Detroit). The Cubs hitting star was third baseman Harry Steinfeld who hit .471 with 8 hits and the only team triple. The next season saw a rematch of the Series as Chicago topped New York in one of the most famous pennant races ever, winning on the last day of the season in a make up game (the so-called “Merkle game”), while Detroit also ended up on top by a half game in another terrific pennant race. The Tigers did better in this Series, they won game three. The Cubs picked up their second consecutive World Series title (and last so far) with a .293 batting average (to .203 for Detroit) and an ERA of 2.60 (to the Tigers’ 3.68). In 1909, the Cubs lost the pennant to Pittsburgh by 6.5 games. In 1910 they won the National League again, this time by 13 games over the New York Giants, but lost the Series to the A’s in 5 games. The run was over and it took until 1918 for the Cubs to make it back to first place. It was an era of small rosters and little turnover, so much of the team that won the two World Series’ was the same. The infield constisted of (this time from third around to first in honor of Franklin Adams) Harry Steinfeldt, Joe Tinker, Johnny Evers, and Frank Chance. The outfield was Frank “Wildfire” Schulte, Jimmy Slagle, and Jimmy Sheckard, with Johnny Kling behind the plate. The same starting eight began most of the games in both seasons. The bench (all players with 40 or more games played) consisted of outfielder Solly Hofman, catcher Pat Moran, and first baeman-outfielder Del Howard in 1907 and Hofman, Howard, Moran, and new guy Heinie Zimmerman in 1908. It’s not an overly impressive set of hitters (Chance, Evers, and Tinker are the only Hall of Famers). It’s not bad, just not impressive. Only Evers managed to hit 300 (exactly 300 in 1908), and Schulte’s .386 in 1907 is the highest slugging percentage. Only Steinfeldt in 1907 managed as many as 70 RBIs. Those aren’t bad numbers for Deadball baseball, but a lot of players did a lot better. Their fielding, despite the poem, was middle of the pack, although Kling is generally considered the finest fielding catcher of the day. What they really could do was pitch and pitch well. Hall of Famer Mordecai “Three Finger” Brown was the ace of the staff winning 20 and 29 games in the two seasons with ERAs of 1.39 and 1.47. He struck out 240 men in the two seasons combined, which isn’t a bad number for the era. Orval Overall (ain’t that a great name?) won 23 and 15 games and contributed 308 strikeouts, which is great for the era. Ed Reulbach won 17 and 24 games, while the team lefty Jack Pfeister won 15 and 12 games. In 1907 Carl Lundgren added 18 wins. I have no idea how to explain the Cubs futility since. They’ve certainly had better players. If I were putting together an all-time, all-Cubs team Brown is probably the only one of these guys to make it, but they did do something that none of the teams with the better players managed to do–they won.